Convert a 0 to 5 volts range measurement input signal into a 4 to 20 milliamps loop output signal. 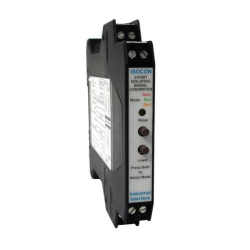 The ISOCON isolating signal converter is used to convert a 0-5V input measurement signal to a 4-20mA current loop output signal. The ISOCON can be easily mounted to a wall using a TS35 DIN rail. Calculate or look up a 0 to 5 V input scale value, to find the equivalent value over the 4 to 20 mA output scale. Enter an input value in V for a linear range from 0 to 5 V to convert it to an output value in mA for a linear range from 4 to 20 mA. 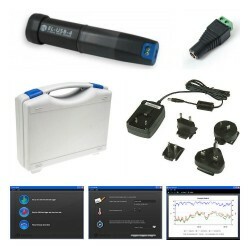 Request product info for a 0...5 V linear input range to 4...20 mA linear output scale measurement device. 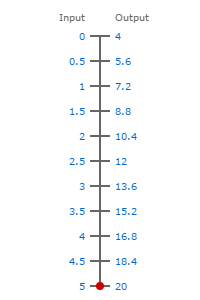 Pick a value from the 0 to 5 V linear input range column of the conversion table below, and find the corresponding value in the 4 to 20 mA linear output range column. Send us your enquiry for a product associated with this 0-5V to 4-20mA Signal Conversion page, and get assistance with selecting a product for your application.